**Although Ocean Potion provided samples for this review, all opinions are my own. It’s almost officially summertime and most of the world comes flocking to Florida for their vacation time. We aren’t called the Sunshine State for nothing! And don’t forget about all of our BEAUTIFUL beaches!! 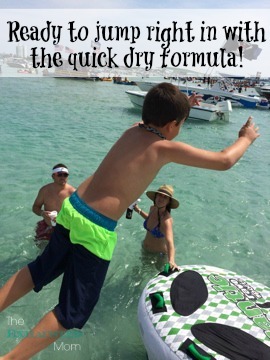 With all this amazing sunshine and time at the beach, anyone who plans to frolick (yeah, I said frolick) in the ocean and build sandcastles on the beach, needs to protect their skin. 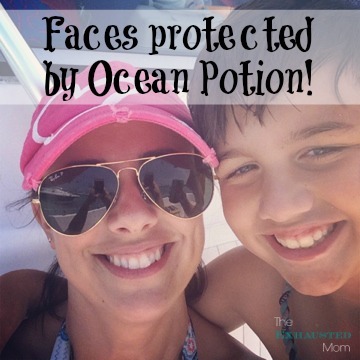 In this house, we get beach ready with Ocean Potion sunscreen products. 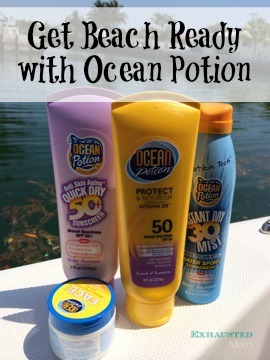 Ocean Potion sunscreen was born on the beach, that’s why it’s a great choice to bring to the beach. The next hurdle…getting the kids out of the water and standing still long enough to dry them off and reapply the sunscreen. I would rather open my eyes in the salt water. Luckily, Ocean Potion Instant Dry Mist is water resistant and can be applied on wet skin. For my 30-something skin, I like to use the Anti Skin Aging Quick Dry lotion. My skin is protected from the sun and I don’t have to worry about (eh, hem) extra wrinkles.